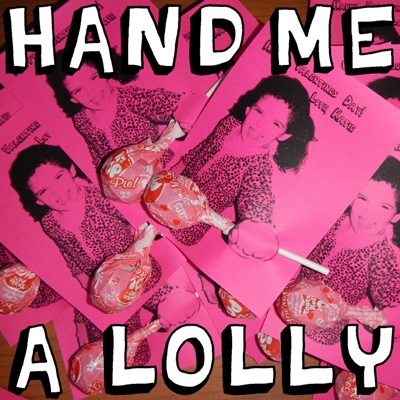 I saw somewhere a handmade Valentine’s Day card with a little girl or boy holding a lollipop and I thought it was so cool. 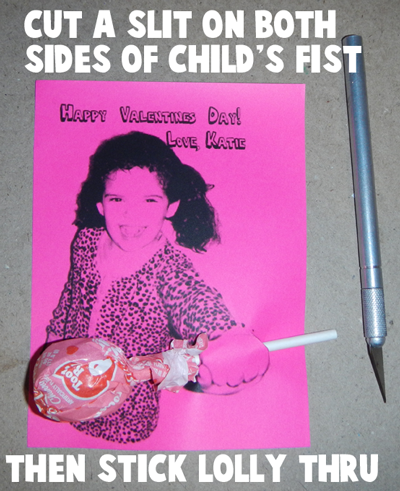 It stuck in my mind and I decided to try it out for my daughter’s Valentine’s Day card that goes out to her classmates. 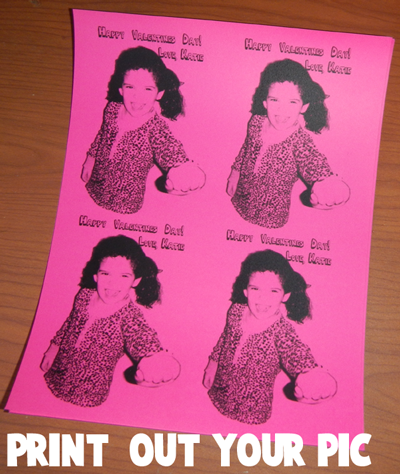 This is a great way to personalize your child’s Valentine’s Day card … as it display’s your child within the card. Now in a perfect situation, I would have printed this card out with colors, but of course I ran out of ink. And, I also would have printed this out on white card stock, however Walmart only had card stock in bright colors. So, decided for yourself which elements you want your card to have. Have fun. Also, this is a craft that has to be mostly done by and adult…as a craft knife is needed. Also, you need to prepare the image on the computer…so if you have an older child and they know how to do this, then by all means, let them help. 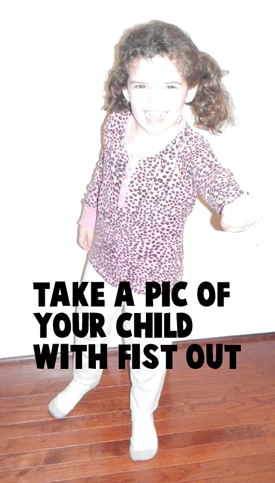 Ask your child to hold out their hand in a fist. Do a better job than I did. I am an awful photographer. Oh well. 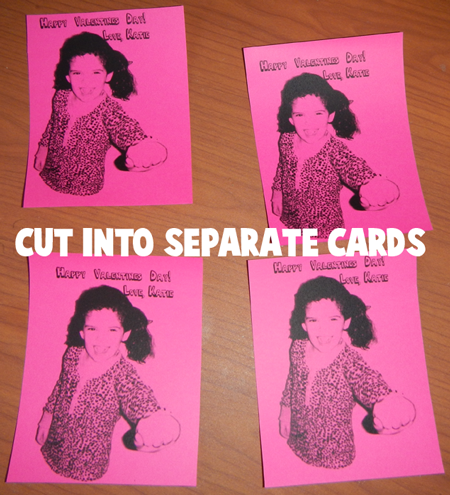 Then make 4 of them so they are the right size for a Valentine’s day card. Cut into 4 separate cards. (For Parents / Adults Only). Take a craft knife. and cut on the left AND right side of the fist. Then put the lollipop thru like this. Once you get the hang of it, they are really easy to make. 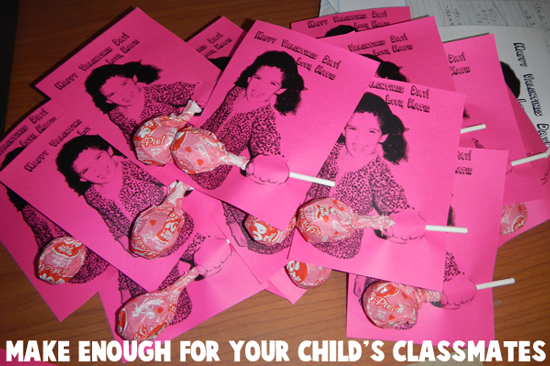 Make sure to make enough for all of your child’s classmates.